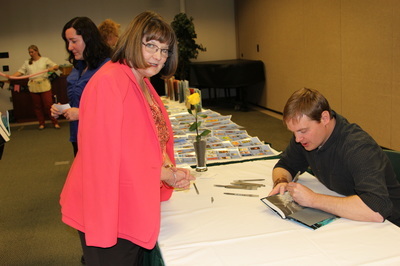 Donna J. Morris, Utah State Librarian, talks with Matthew Kirby. 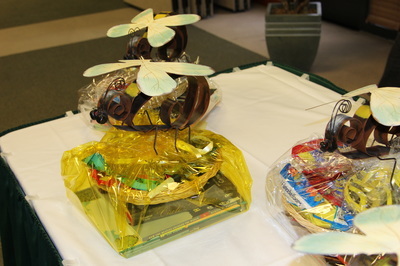 Lucky drawing winners received these gift baskets. 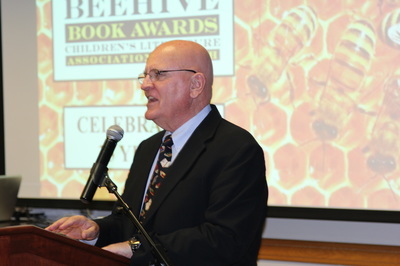 Dr. Jim Jacobs, one of CLAU's original founders, talks about the beginning of CLAU. 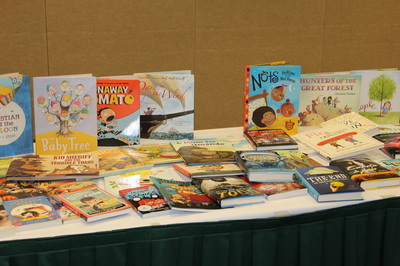 CLAU members received a free book at registration. 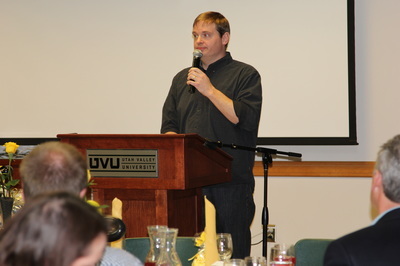 Guest author Matthew Kirby talks to the crowd. 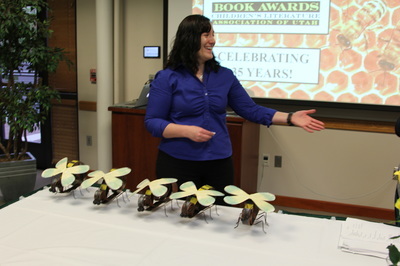 CLAU president Kara Pearson shows medals given to winning authors. 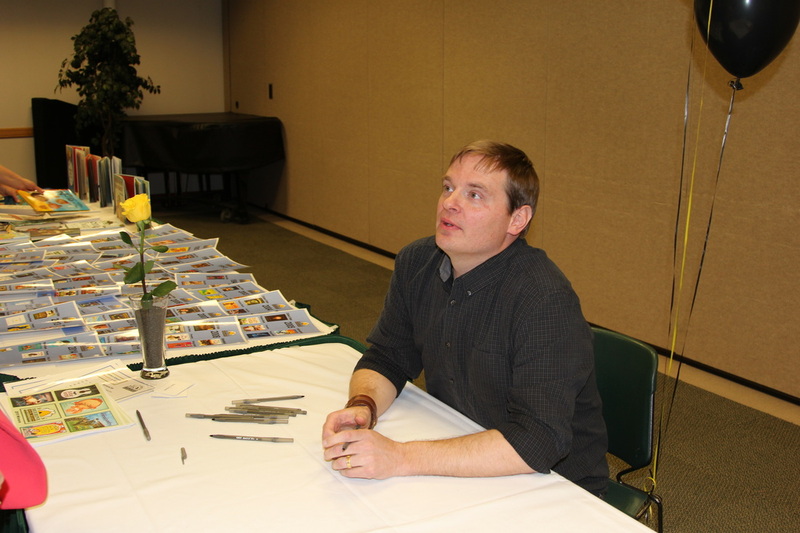 Matthew Kirby talks with fans at his book signing. 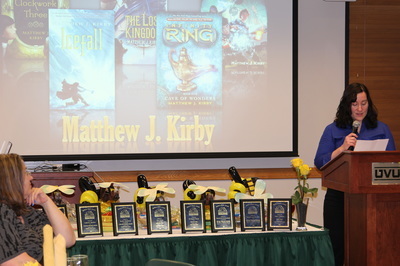 CLAU president Kara Pearson introduces guest author Matthew Kirby. 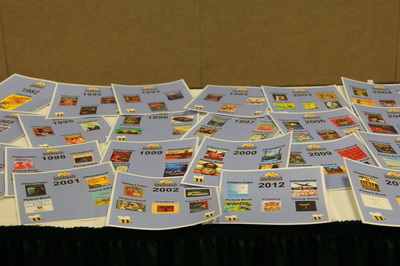 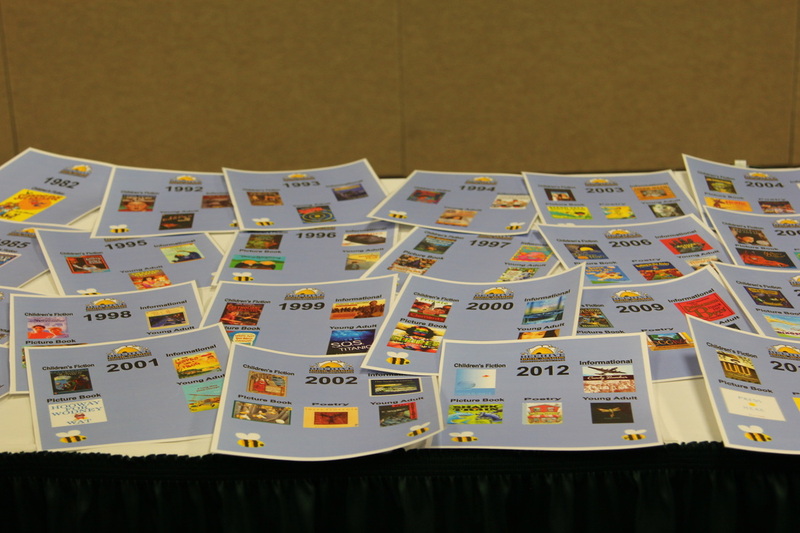 Posters showing 35 years of Beehive Award winners! 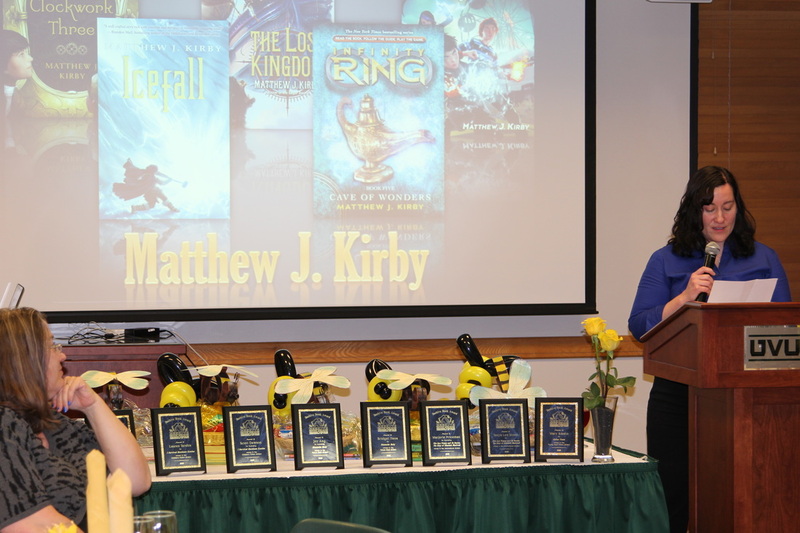 CLAU members and other guest enjoyed listening to Matthew Kirby, author of The Clockwork Three, Icefall, The Lost Kingdom and Spell Robbers at the Annual Beehive Awards Dinner. 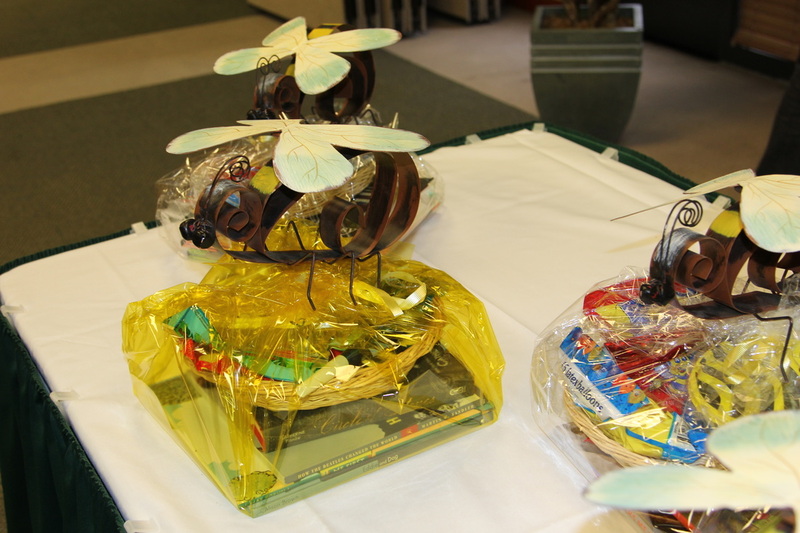 Winners of the 2015 Beehive awards were also announced. 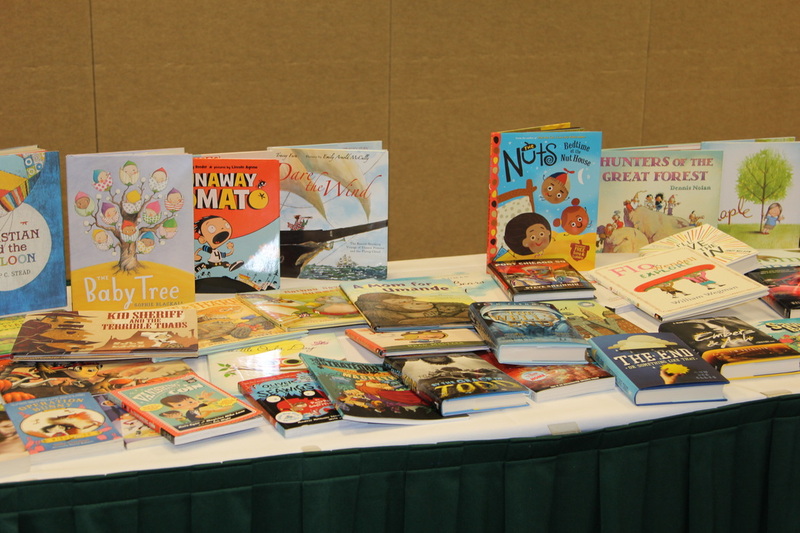 CLAU members received free books, participated in a drawing for prizes, and had the opportunity to have books signed by Matthew Kirby.